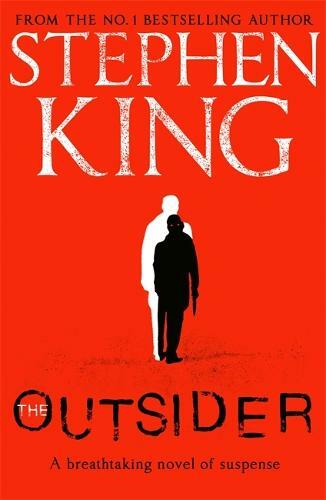 The indisputable master of horror, Stephen King, makes a welcome comeback, combining suspense and supernatural storytelling in a timely standalone novel about a divided community. As Anderson and the District Attorney trace the clues, the investigation expands from Ohio to Texas. And as horrifying answers begin to emerge, so King's propulsive story of almost unbearable suspense kicks into high gear. We celebrate the author known to many as the father of modern horror. For a generation of readers, Stephen King is the voice of the underbelly of small-town America, having made his name as the author of cult classics (with an equally strong legacy of film adaptations) including Carrie, The Shining, The Green Mile, The Stand, Pet Sematary, IT, Under the Dome and The Tommyknockers. If there's an author who knows how to mine the dark recesses of the human imagination, it's King. Another great novel from Stephen King. He is still top of his game after all these years. If you are a Stephen King fan you will not be disappointed.